Home » News & Future Directions » Does Diet Matter in Multiple Sclerosis? Diet is the ever-moving target in MS research. In this story, we’ll look at the facts, fiction, and continued struggles of researching dietary contributions to multiple sclerosis. Wahls’s dietary regimen, which she calls the Wahls Protocol, is modeled after the so-called paleo diet, which aims to emulate the dietary patterns of our human ancestors during hunter-gatherer times, before the development of agriculture. Charismatic and controversial physicians like Terry Wahls, M.D., a professor of clinical medicine at the University of Iowa, and George Jelinek, M.D., of the University of Melbourne in Australia have each developed diet and lifestyle protocols that they claim have helped free them from the shackles of multiple sclerosis. But the idea that some physicians are promoting diet-based therapies—even if they’re not calling them cures—rubs some experts the wrong way. The history of MS research is replete with attempts to study a host of nutrients, their contributions to the risk of MS, and whether they improve or worsen symptoms. But the data are complex and unwieldy. At first, with the work of the late Roy Swank, M.D., Ph.D., it seemed that saturated fat was a risk factor for MS. Now those data are looking shaky. With the exception of vitamin D and salt, no concrete evidence exists to suggest that certain nutrients have any effect on MS. The northernmost and southernmost latitudes of the globe are known to have higher rates of MS in the population. It’s thought that reduced exposure to sunlight leads to lower levels of vitamin D, increasing the risk of MS (Schwarz and Leweling, 2005; Riccio, 2011; von Gendern and Mowry, 2012). There is evidence that low vitamin D levels also exacerbate MS disease activity: Relapses are most common in the early spring when vitamin D levels are low, and lesions frequently appear on MRIs about 2 months after vitamin D exposure dips in the winter (Schwarz and Leweling, 2005; von Gendern and Mowry, 2012). However, vitamin D’s ability to stave off relapses is still in dispute. A 2013 meta-analysis reported no significant relationship between the vitamin and the risk of relapse (odds ratio 0.98, 95% CI 0.45-2.16, James et al., 2013). But there’s a difference between vitamin D3, the form of the vitamin synthesized in the skin in response to sun and diet exposure, and vitamin D2, the form obtained from the diet. “Recently, with the push to supplement vitamin D, there’s been a push towards using more vitamin D3. Vitamin D2 seems like it might be less biologically active,” Kassandra Munger, Sc.D., of the Harvard School of Public Health said to MSDF. Even if vitamin D may not be effective in preventing relapses, it may still have some use in MS patients. Evidence suggests that fatigue may be a product of inflammation rather than the result of a dysfunction in the arousal centers of the brain (Sumowski and Leavitt, 2014; Heesen et al., 2006). Vitamin D is thought to exert its effect on MS by modulating inflammation. Recently, a double-blind, placebo-controlled study found that a vitamin D3 analog called alfacalcidol successfully treated fatigue in MS patients (41.6% drop in Fatigue Impact Scale, Achiron et al., 2014). Studies in vitamin D have typically taken a top-down approach, starting with epidemiological research and moving onto clinical and laboratory studies. However, some research teams are having success with a bottom-up approach, starting with laboratory work examining how certain nutrients affect the immune system. These studies have focused on salt intake and calorie restriction as good candidates for further study. Data in mice and humans demonstrate that salt modulates differentiation in Th17 cells. Additionally, high-sodium diets in mice lead to a more aggressive course of experimental autoimmune encephalomyelitis (EAE) (Klienewietfeld et al., 2013; Farez et al., 2014), suggesting that dietary sodium may be a risk factor for MS. A recent study suggests that dietary sodium also exacerbates disease activity. In a group of 70 patients with RRMS, Farez et al. (2014) found that high sodium intake was associated with a 2.75- to 3.95-fold increase in exacerbation rate. Piccio et al. (2008) demonstrated that chronic calorie restriction ameliorated symptoms in EAE mice. Investigators restricted the mice to 60% of their normal calorie intake, starting when they reached 5 weeks old. The calorie-restricted mice had an average relapse rate per mouse of 0.5, compared to animals on a normal diet (1.1) and high-fat diets (1.4). Anne Cross, M.D., of Washington University in St. Louis presented follow-up mechanistic data to Piccio et al. (2008) at the 2014 ACTRIMS-ECTRIMS meeting in Boston. Calorie restriction appears to reduce pro-inflammatory leptin and interleukin-6, while increasing adiponectin, an anti-inflammatory molecule (abstract). But what is a healthy diet? During the same ACTRIMS-ECTRIMS session, Dalia Rotstein, M.D., MPH, of St. Michael's Hospital in Toronto, Canada, looked at various diets and the incidence of MS in the Nurses’ Health Studies I and II—long-term prospective studies in which volunteers keep track of their daily eating habits. Rotstein and her colleagues, including Kassandra Munger, catalogued the diets of 480 people with MS and rated them according to three different dietary health scales: the Alternative Healthy Eating Index-2010 (AHEI-2010), the Alternate Mediterranean Diet Score (aMED) index, and the Dietary Approaches to Stop Hypertension (DASH) index. These indices rate healthy foods in different ways. For example, the aMED index emphasizes consuming olive oils and legumes. The DASH index, on the other hand, values low-fat, low-salt diets. But none of these indices seemed to affect the risk for adults to develop MS, according to Rotstein’s study (abstract). However, it remains possible that dietary patterns in childhood and adolescence may have more of an effect. In particular, obesity in adolescent girls seems to be linked with an earlier onset of MS (Hedström et al., 2014; Kavak et al., 2014). “We can’t say from our findings how dietary patterns might be linked to the course of MS once they have the disease,” Rotstein emphasized in an interview with MSDF. Another issue raised by Rotstein’s study is that there is no current consensus on what makes a one-size-fits-all healthy diet, or if healthy diets vary from person to person. Experts generally suggest that consuming most of one’s calories via fruits and vegetables is a good first step. Another common suggestion is to avoid processed foods with refined sweeteners and added flavors, dyes, and preservatives. These tips seem commonsensical, but other tips are subject to further scrutiny. Demon fat and angel fat? The latest debate in the world of diet is challenging a closely held belief: Maybe fat isn’t so bad for you. In the 1960s, fat—particularly saturated fat—was demonized as the progenitor of heart disease. The thinking was that fat increased “bad” cholesterol, clogging the arteries and leading to heart disease. Lately, some have suggested that saturated fat may not deserve its status as the demon nutrient, though that idea is rife with controversy (Chowdhury et al., 2014. See article for accompanying comments and letters.). Swank was investigating fatty acids as early as the 1940s. He observed that populations that did not consume as much fat as the typical Westerner had lower rates of MS. He suggested that fat consumption may be a risk factor for MS and that MS patients who ate lower amounts of fat may live longer. What is now known as the Swank diet involves consuming no more than 10 to 15 grams of saturated fats and 20 to 40 grams of unsaturated fats daily. By comparison, the U.S. Office of Disease Prevention and Health Promotion recommends that a healthy person consuming an average of 2000 calories per day should take in 65 total grams of fat, with less than 20 grams coming from saturated fats. But Swank’s results have never been replicated. Some investigators noticed that, rather than avoiding fat all together, populations that eat foods high in polyunsaturated fatty acids (PUFAs)—the so-called good fats—had lower rates of MS than populations that didn’t eat as many PUFAs. PUFAs are typically found in fatty fish and other seafood. Some researchers decided to look into whether PUFAs have any effect on disease course. In 2012, Stig Wergeland, M.D., Ph.D., of the University of Bergen in Norway and his colleagues ran a double-blind placebo-controlled study of PUFAs in people with MS. Wergeland and his colleagues measured MRI activity, relapse rate, disability progression, fatigue, and quality of life in people with MS taking a placebo, a high dose of PUFAs (2200 mg), and the high dose of PUFAs while also using interferon-β (Torkildsen et al., 2012). “It was quite convincing negative results. It was consistent throughout all the measures,” Wergeland said. The concept that PUFAs may have an anti-inflammatory effect comes from the idea that the compounds—long chains of unsaturated hydrocarbons—are themselves precursors of anti-inflammatory molecules. Wergeland said that once the inflammatory cascade activates, it is “very powerful,” and that people generally have an excess of all the precursors from their diet no matter what. Changing one’s fat consumption would then merely be adding drops to a bucket. While Wergeland was able to perform a double-blind, placebo-controlled study, good clinical data in diet are notoriously difficult to obtain. Some investigators, such as Wahls, believe it’s not just any one nutrient that contributes to promoting or hindering disease activity. Rather, it’s a concert of multiple nutrients and vitamins that’s needed to achieve the disease-modifying effect that she and her acolytes claim. Wahls is putting her protocol to the test in a clinical setting. She initially looked at safety in a small, nonrandomized and uncontrolled trial. Participants showed an average of 42% improvement in Fatigue Severity Scale scores (Bisht et al., 2014). She says she intends to do larger follow-up studies that are controlled and randomized. However, there are great challenges to studying diet in a clinical setting. The National MS Society recently hosted a meeting on lifestyle in MS. According to Kathleen Costello, M.S., ANP-BC, MSCN, of the National MS Society, the first hurdle in studying diet is getting patients to adhere to the protocols. More problems arise when determining how comorbidities and medications factor in, how to properly perform a placebo-controlled trial, and how long to perform the study—just to name a few. “That’s not a reason not to do them, it is a reason to carefully consider how they’re done,” Costello said. There are several different approaches one can take, aside from the clinical trial, to study diet. There is the observational epidemiological study, such as those described above that looked at fat consumption across populations and compared them with MS rates. Another method is to ask a cohort of people to recall their diet before developing MS to assess risk factors, or after developing MS to assess dietary contributions to disease progression. However, Munger told MSDF that people are generally poor at recalling their diet, especially after being diagnosed with a chronic disease. She said that people are more likely to say that they ate more of foods they think contributed to their disease. Prospective studies such as the Nurses’ Health Studies control for that bias since they follow the participants through their life before they get sick and monitor their diet in real time. Everyone MSDF spoke to agreed that diet is a complex and understudied aspect of MS, but that people living with MS are very concerned about whether it is something they should be paying attention to. Most of the physicians MSDF spoke with said that they don’t make any specific recommendations to their patients about dietary changes, except to supplement their vitamin D intake. Another important note is that adopting a healthier eating strategy may help stave off comorbidities that could exacerbate MS. But, as mentioned earlier, sometimes it’s hard to differentiate between a healthy and an unhealthy diet. But what about people with MS like V, Jelinek, and Wahls, who discontinue drug-based therapy in favor of lifestyle changes? While they do not appear to be harming themselves and are not claiming to be cured of MS, are they potentially harming others by promoting their own stories? It’s unclear. Both Wahls and Jelinek say that anyone choosing to participate in their respective protocols should do so under the advice of their primary care doctor. Neither of them recommends that anyone go off disease-modifying therapies in favor of diet or exercise. Due to the National MS Society’s new initiative to augment lifestyle research, it’s likely that a host of new and better data will eventually arrive to answer long-standing questions of diet. What other understudied nutrients and aspects of diet may affect MS? How can diet be properly studied in controlled settings? Can there be a true placebo group in a clinical trial of a full dietary regimen? What are the standard guidelines that should be set for studying diet? Special thanks to Gloria von Geldern and George Jelinek, who provided valuable insight and background while reporting this story. Piccio’s work is supported by grants from the Consortium of MS Centers, National MS Society, McDonnell Center for Cellular & Molecular Neurobiology, Nutrition and Obesity Research Center, Fondazione Italiana Sclerosi Multipla, Barnes-Jewish Foundation, and National Institutes of Health. She is also a Harry Weaver Neuroscience Scholar of NMSS. Wergeland has received honoraria for lecturing and travel grants from Sanofi-Aventis, Bayer Schering, Merck Serono, Biogen Idec, and Novartis. His clinical trial was supported by Western Norway Regional Health Authority, Norwegian Multiple Sclerosis Society, Pronova Biocare, Amersham Health, Norway, and Merck Serono, Norway. Munger’s work is supported by grants from the NIH. Rasminsky declared no conflicts of interest. Wahls’s work is supported by the Institute for Clinical and Translational Science at the University of Iowa, which in turn is supported by the National Institutes of Health (NIH) Clinical and Translational Science Award (CTSA) program. Her clinical trial also received in-kind support from DJO Inc., Pinnaclife Inc., TZ Press LLC, and the Department of Veterans Affairs, Iowa City, Iowa. 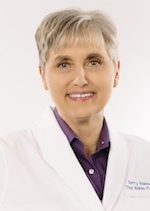 Wahls also receives royalties from Penguin Random House for The Wahls Protocol and has an equity interest in Dr. Terry Wahls LLC, Xcellerator LLC, and TZ Press LLC. She owns the trademarks Wahls™ Diet, Wahls Paleo™ and Wahls Paleo Plus™, and Wahls Protocol™. Higher weight in adolescence and young adulthood is associated with an earlier age at multiple sclerosis onset. Effect of Alfacalcidol on multiple sclerosis-related fatigue: A randomized, double-blind placebo-controlled study. Sodium intake is associated with increased disease activity in multiple sclerosis. Body temperature is elevated and linked to fatigue in relapsing-remitting multiple sclerosis, even without heat exposure. A Multimodal Intervention for Patients with Secondary Progressive Multiple Sclerosis: Feasibility and Effect on Fatigue. Chowdhury R, Warnakula S, Kunutsor S, Crowe F, Ward HA, Johnson L, Franco OH, Butterworth AS, Forouhi NG, Thompson SG, et al. Interaction between adolescent obesity and HLA risk genes in the etiology of multiple sclerosis. The effect of vitamin D-related interventions on multiple sclerosis relapses: a meta-analysis. The influence of nutritional factors on the prognosis of multiple sclerosis. ω-3 Fatty Acid Treatment in Multiple Sclerosis (OFAMS Study): A Randomized, Double-Blind, Placebo-Controlled Trial. Torkildsen O, Wergeland S, Bakke S, Beiske AG, Bjerve KS, Hovdal H, Midgard R, Lilleås F, Pedersen T, Bjørnarå B, et al. The molecular basis of nutritional intervention in multiple sclerosis: a narrative review. Chronic calorie restriction attenuates experimental autoimmune encephalomyelitis. And how exactly is Dr. Wahls "potentially harming others by promoting her own story"? What harm do you suppose she is doing in promoting organic vegetables, wild caught fish and supplements that she has researched? If the harm is "Oh, I am not going to have my sweets that I am addicted to", then I agree. “I respect that there are others who disagree with that approach and that feel that it’s immoral to talk about lifestyle until there’s clinical data that shows a definitive effect for change. That’s a valid perspective. It’s just not my perspective.” Dr. Wahl's quote. I hope the NMSS is not wasting valuable resources on dietary recommendations that are purely anecdotal. CCSVI hopefully has shown that we should not be lead blindly down dark alleys.